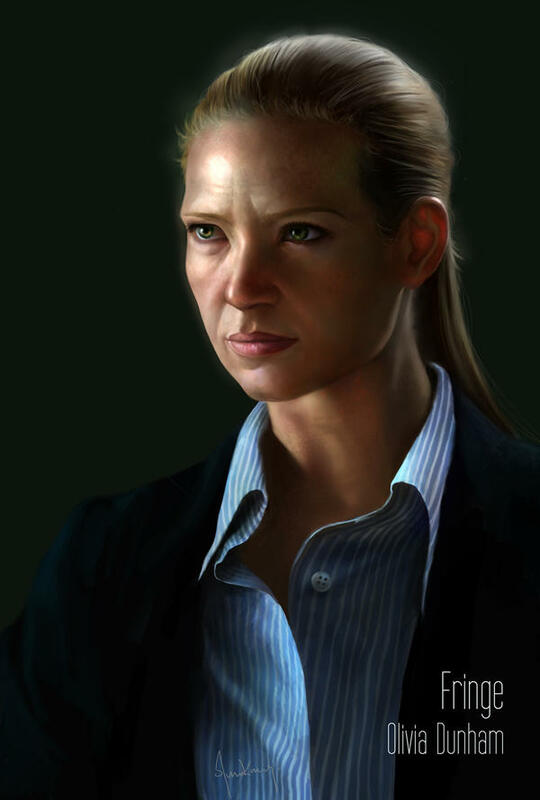 For todays fan art feature I’ve chosen Olivia Dunham, the dimension-hopping hero of Fringe. As a live action show and a fairly serious character I’m interested to see how different artists will show her. 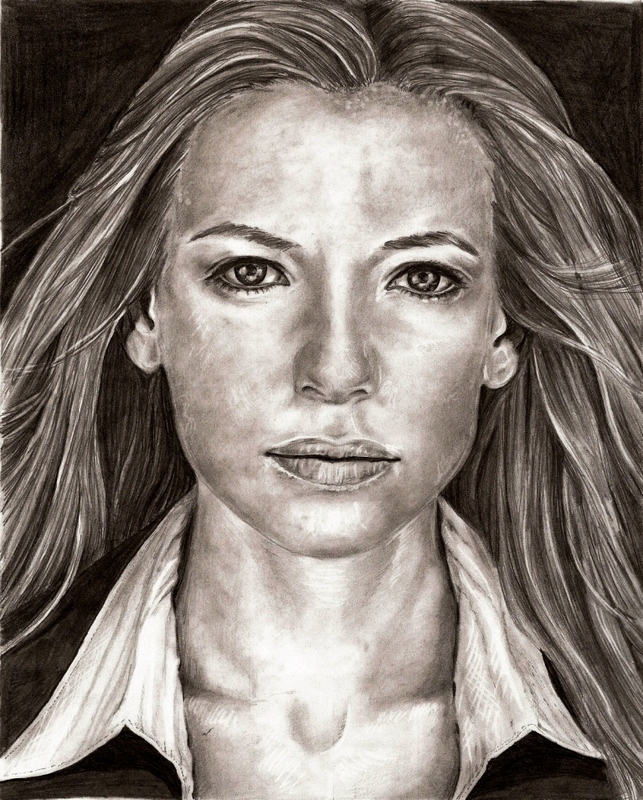 First up is this image from Forgottenones – I’m a sucker for a realistic pencil portrait, and there are plenty to choose from for Olivia. It’s not super clean and polished, a quite sketchy picture, but I really like it. The eyes and face have real life to them, and the dark shading gives a nice atmosphere. Next up this lovely pic from Natalie Nourigat. 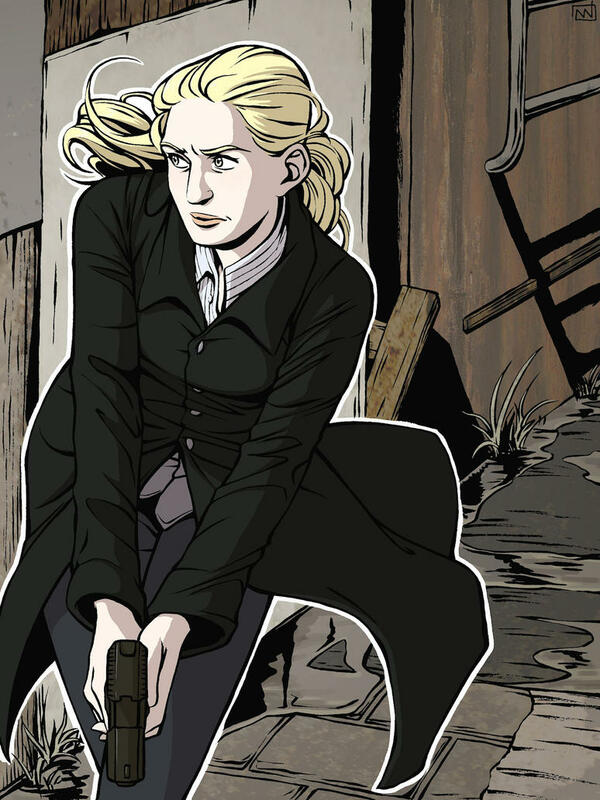 She has done a lot of Fringe art and I really like the comicbook style. Even without high realism or massive facial accuracy she’s perfectly captured the character in her pose and setting. 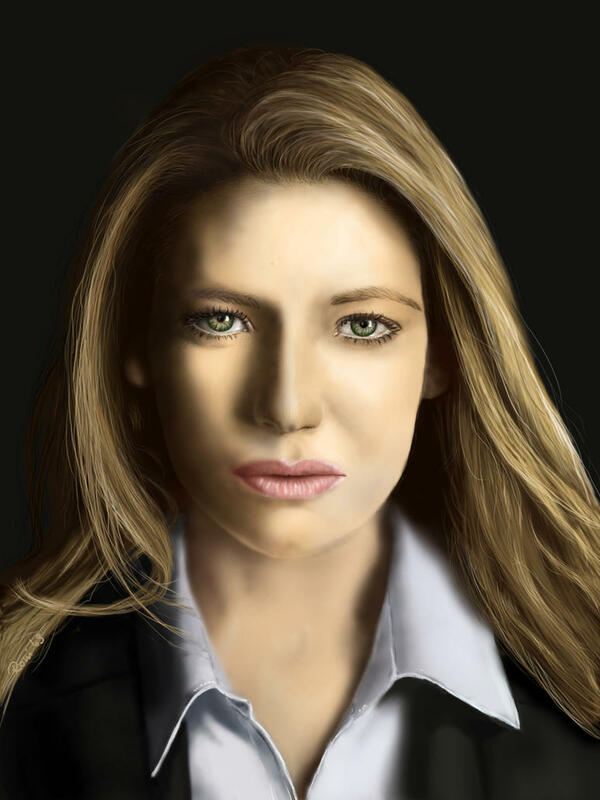 For my third I’ve chosen this digital painting from Renata Volent. Although a fairly simple image, drawn from a promo shot, I think there is real skill in the painting, the hair and eyes are amazing. 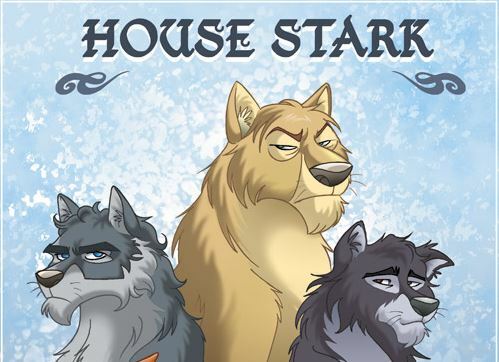 Again, this artist has done more Fringe work, all of which is worth a look. Next something a bit different – Fabulous Fringe Paper Dolls from Peter Vescovo! You can even dress her up as Fauxlivia. Fun idea and really well done. The eyes, the hair, the lighting – it’s all brilliant, but I also love the shading on the jacket – very subtle but affording exactly the right amount of detail to balance with the rest of the image. I love this piece! If you have any suggestions for characters you would like to see featured here please comment below, or send us a message!